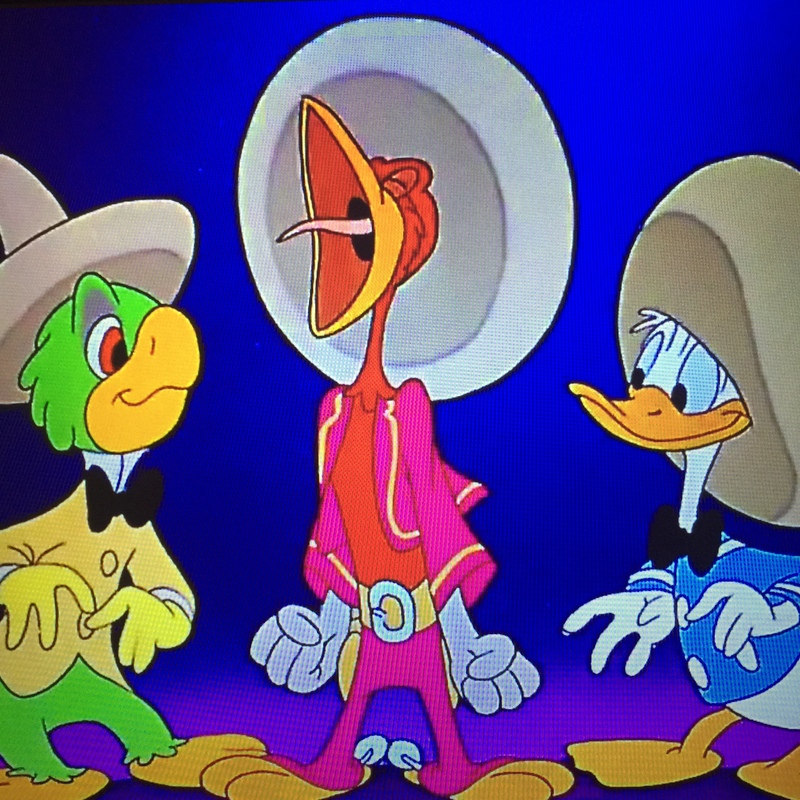 I think it’s safe to say that The Three Caballeros is the spiritual successor to Saludos Amigos and to that point, it manages to top its predecessor in every single possible way. The film marked the second package film for Disney and was also the second film aimed at the ‘Good Neighbor Policy,’ which, like Saludos, was meant to foster good relationships between North and South America. 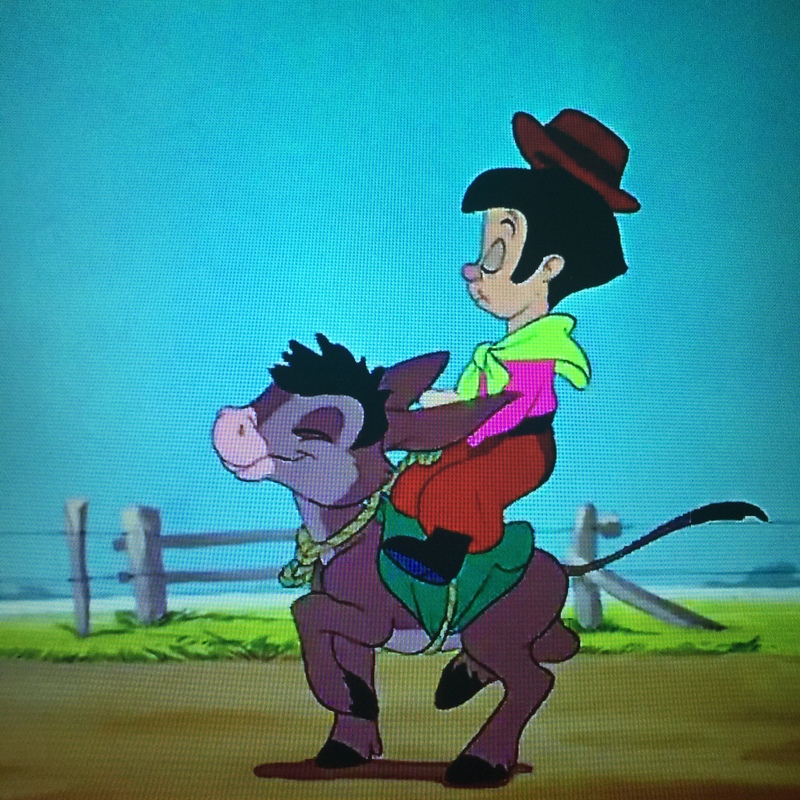 In fact, Caballeros actually had its initial premiere in Mexico City in December 1944, and didn’t release in the U.S. until February the following year. If you read my article on Saludos, you’ll know that I was not super excited about the fact that the narrator seemed to be the only real driving force of the whole thing, telling each story, talking to the characters and generally just making me feel like the whole affair was more of an animation experiment than an actual living breathing film. That is not the case here. While the stories are split up into six separate shorts, they are all unified by the ever lovable Donald Duck who, while opening his presents from his Latin American friends, discovers the devices which lead us to each of these shorts. 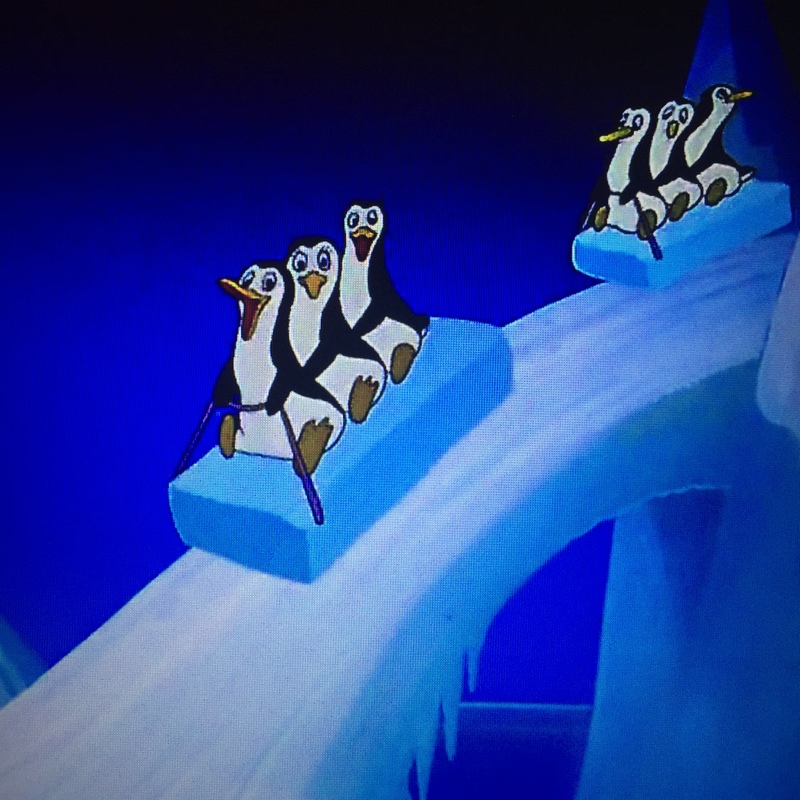 Therein lies the brilliance of this film, because in following Donald, we no longer feel as though we are trudging through the ideas of animators on vacation, we feel as though we are discovering this world with him and oh what a fun colorful world it is. Picking the right gift to open is very important to the story here. 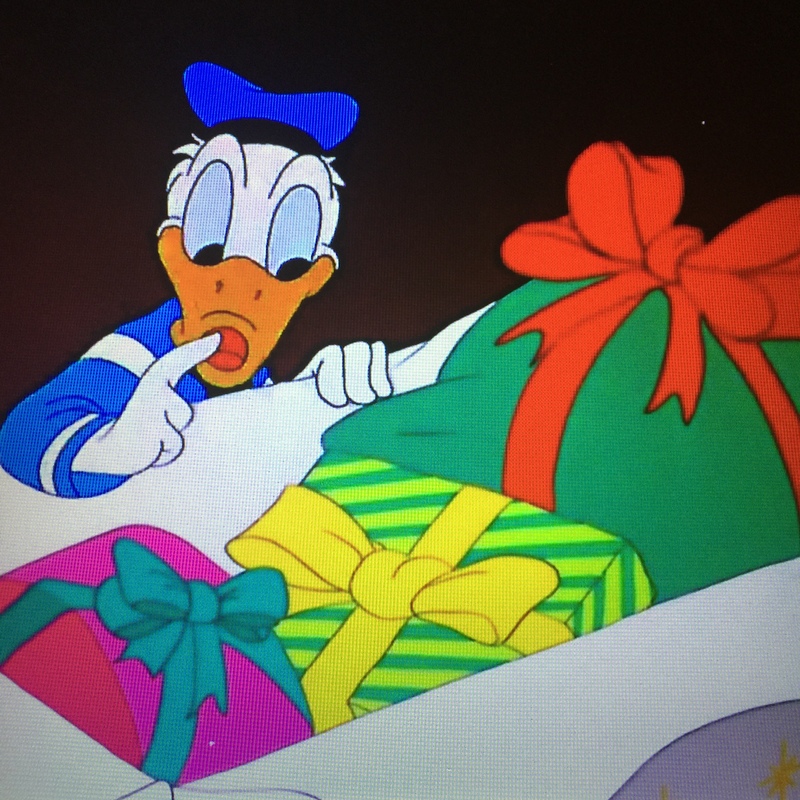 As Donald opens gifts on his Birthday, which is oddly Friday the 13th, we see him pop in a film reel and learn about the birds of the world. One such bird that made me actually laugh out loud every time he came on the screen was the little Aracuan. He runs around the screen singing his song which is the sort of tune like “It’s a Small World” which gets into your head and haunts your dreams. While I don’t intend to do this for every article, I’ve attached a video because a picture of this bird simply won’t do it justice. I can’t advise watching all five minutes however as I think you might actually go insane. We start off the show with ‘The Cold-Blooded Penguin,’ a short all about Pablo, a penguin who yearns to live in a warmer climate but cannot leave his Wintery home as he gets too cold and freezes solid before he gets anywhere. As someone from Denver, and now living in NYC, I can totally understand his aversion to winter. I get it, Pablo. I get it. 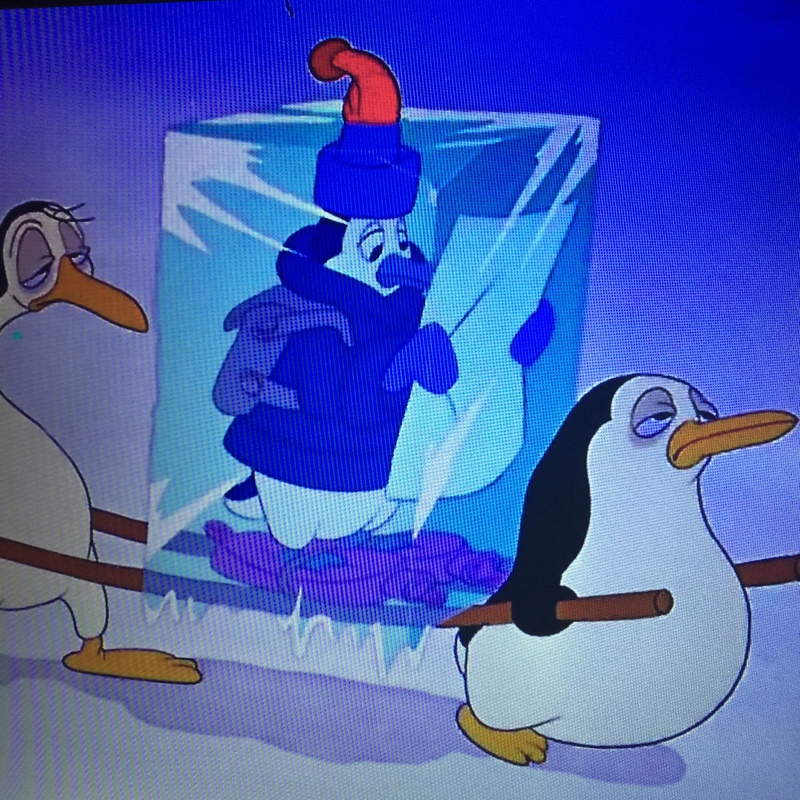 Penguins who are not Pablo, as seen by their enjoyment of all things cold. His friends try to be supportive but soon even they dwindle, leaving only what we can assume are his besties, one of whom seems to be depressed, or exhausted, or both. Eventually he does find a way out and sales North, introducing us to South America in a way that sets the scene for the rest of the film, whether we realize it or not. He winds up on a warm island, where he decidedly misses home. “That’s human nature for you,” says the sly narrator of this piece. Pablo might want to leave home less if his friends weren’t so…well, sad face. Curiously enough, the thing that sticks out from this short the most is the narrator of the segment, Sterling Holloway, who you may know as the voice of EVERYTHING. Well, maybe not everything but I immediately recognized the voice of Winnie the Pooh. You may also know him from Peter and the Wolf, Lambert the Sheepish Lion or as the devious Cheshire Cat from Alice in Wonderland. I get the feeling that Walt was really fascinated by the Gaucho, essentially the South American Cowboy, because yet again we get an entire segment based around one. 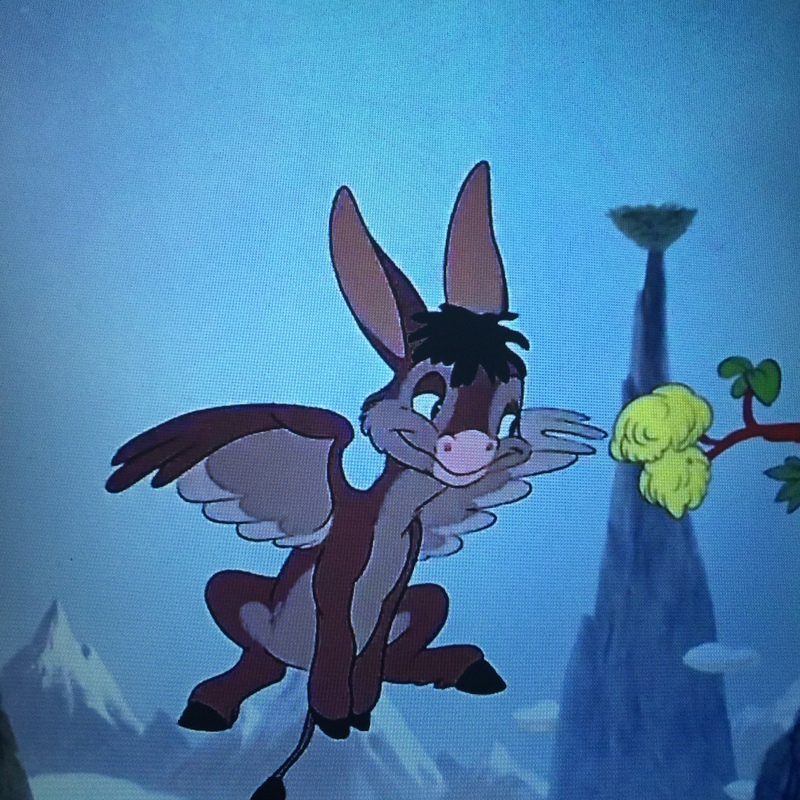 ‘The Flying Gauchito’ tells the store of a little boy from Argentina (Actually in the English version the boy is from Uruguay, oddly enough) who finds a winged donkey during his travels. He names the donkey Burrito, obviously, and hatches a plan to enter a horse race since Burrito can use his wings to go extra fast. This pair is adorable and the race plays out like a radio telecast. Like Burritos of a feather. As a child I remember listening to my Mom’s Spike Jones albums and one in particular which tells the story of a Beezlebum, the racing horse. This segment seems to be a children’s versions of that teleplay and eventually we see Burrito and the boy go so fast that time seems to stop around them. One might sight this as the earliest use of ‘Matrix’ effects to tell a story. I think it’s just good fun and while it isn’t the most memorable part of the film, it certainly has its laughs and left me wanting more from this unlikely pair. From here we get into the meat of things, and the biggest surprises of this film for me. 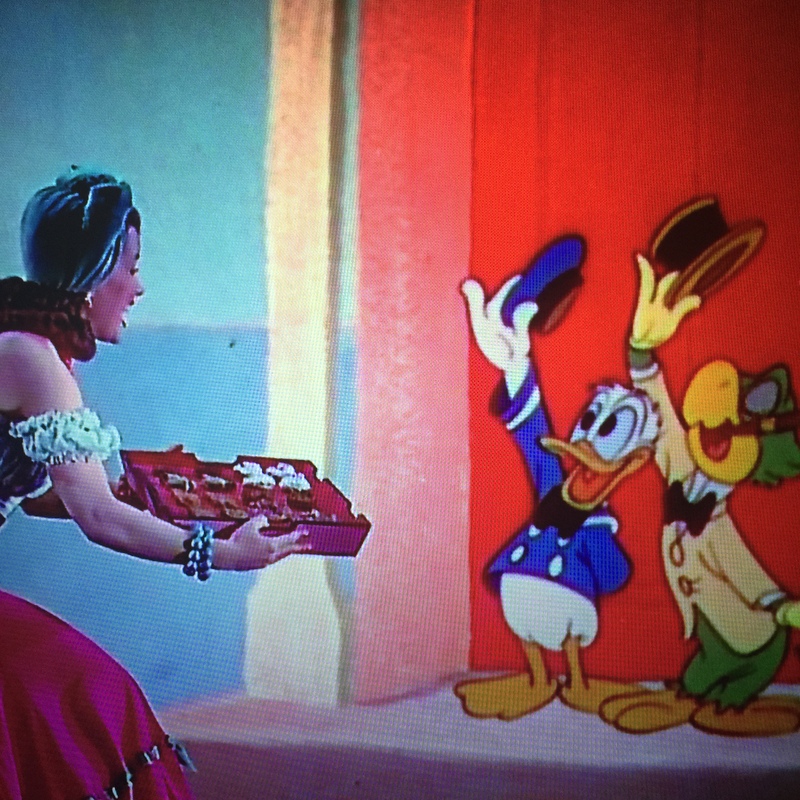 ‘Baia’ involves Donald traveling into a pop-up book to meet up with the cool talking, cigar smoking Parrot, Jose Carioca, who we first met in Saludos Amigos. 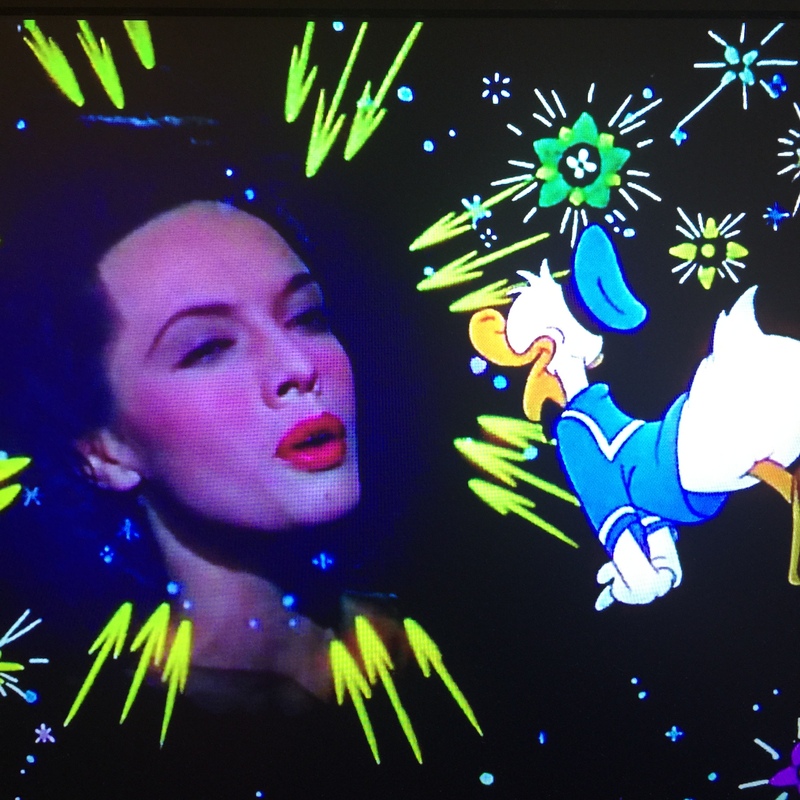 You have to imagine my surprise, someone who has probably never seen this film before, at the sight of live action Aurora Miranda, who walks on screen singing to Donald and Joe. I’ve read that Walt originally imagined many of his films in this way, with live action actors interacting with animated characters, yet many of them eventually went full on animated. A great example, which we’ll get to later, is Alice in Wonderland. Yet here, we see that idea in the flesh, literally. This segment also introduces a very key piece of the film and one that critics were quick to pick up on during the film’s initial release. The cold hard truth is that Donald is a bit of a womanizer. He chases each girl he meets, trying to get a better look or steal a kiss. At the time, many found some of these scenes to be highly suggestive and I can’t entirely blame them. From ‘Baia’ and on, Donald is chasing a different girl for the rest of the film, and while it’s funny, I can see viewers getting a little annoyed. First of all, he’s a duck chasing human woman, which can be confusing. Second of all, if not for the fact that he is a cartoon duck, we might actually see his character as very shallow. We wouldn’t watch a guy dressed as a sailor chase women in this way for over an hour, yet somehow, Donald makes it work. 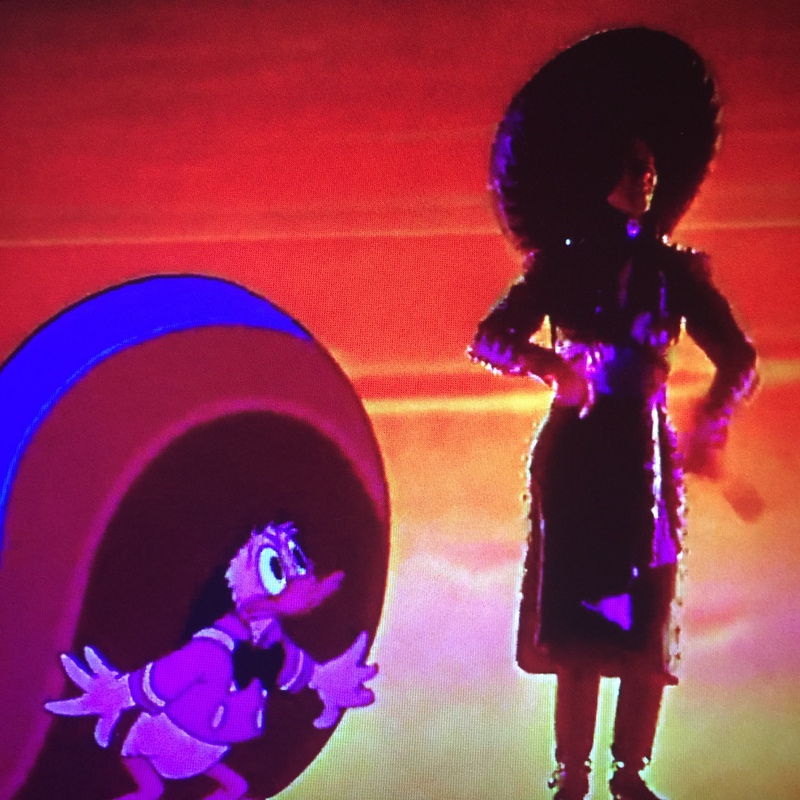 Donald and Joe follow Aurora through the Brazilian state of Bahia while dancing the samba and the world around them progressively drops the animated style until Donald and Joe are the only animated things on the screen. There is a brief interlude to show the story of Las Posadas. 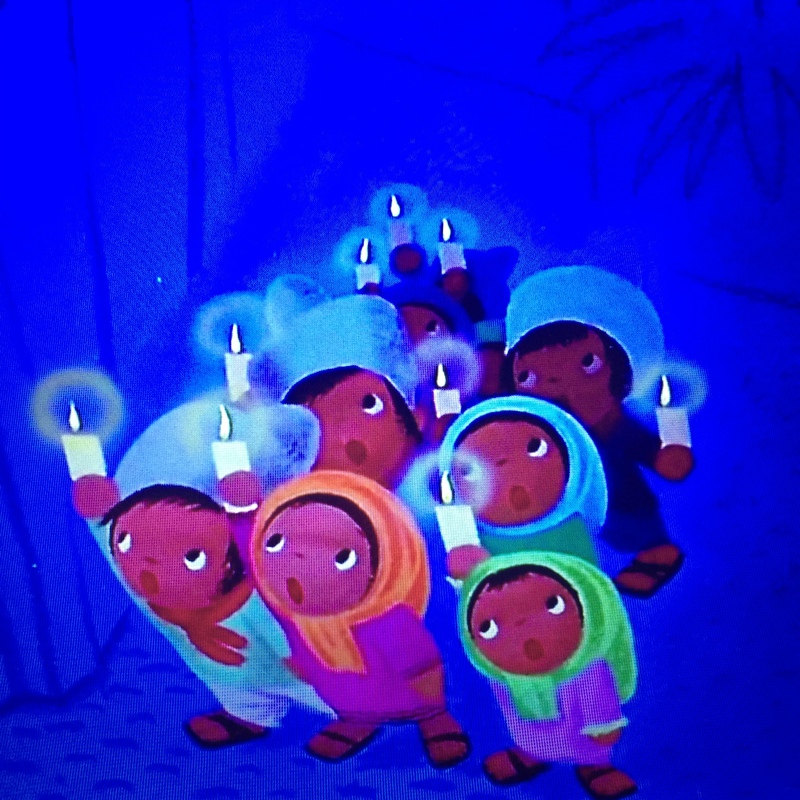 We reflect on Walt’s religious side and the fact that there was not such a religious divide in the country at the time by watching as a group of Mexican children celebrate Christmas by reenacting Mary’s search for a room at La Posada, or the inn. Of course, this leads to festivities and a funny bit with Donald and a piñata. These children provide relief from Donald’s woman chasing ways. We soon meet a new character, Panchito Pistoles. Take this with a grain of salt, but Joe was always supposed to represent Brazil, while Panchito was the representation of Mexico. I don’t know how the people who lived in these countries felt about this, but that was the plan nonetheless. That being said, I found the pistol slinging Panchito to be absolutely hilarious. 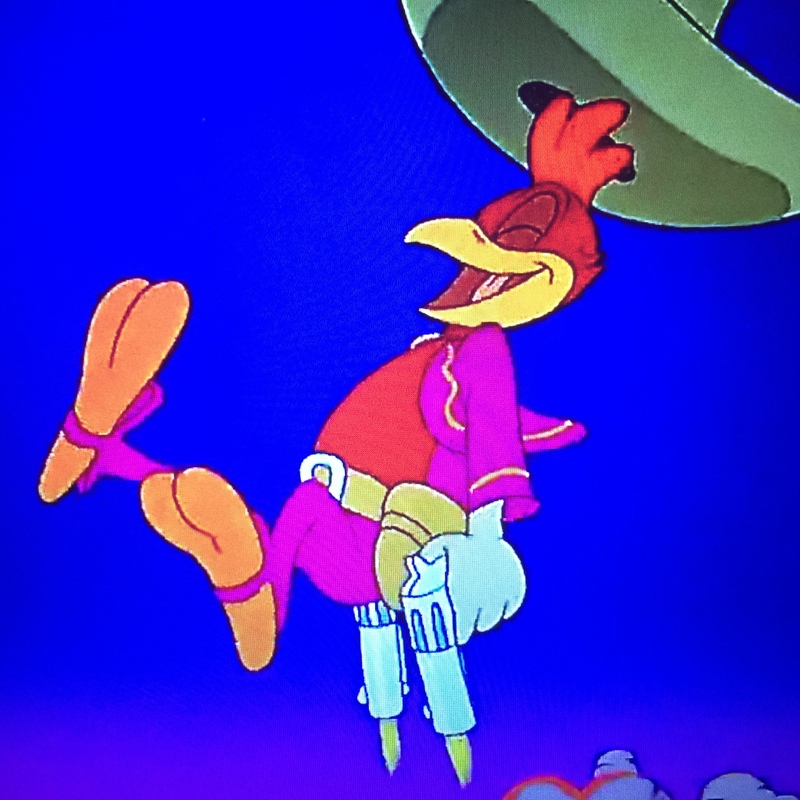 He rides in on his pistols, shooting like a crazy person and he is a lively addition to what, thanks to his arrival, makes up The Three Caballeros. This guy knows how to make an entrance. Let’s get one thing straight, I LOVED The Three Caballeros Theme Song. It’s fun and catchy and it stuck in my head for hours. I’m listening to it right now as I write this. That’s how much I loved it. It is easily the best thing about this film and that’s saying something because if you haven’t noticed, I liked this one a lot. The gang is finally together. 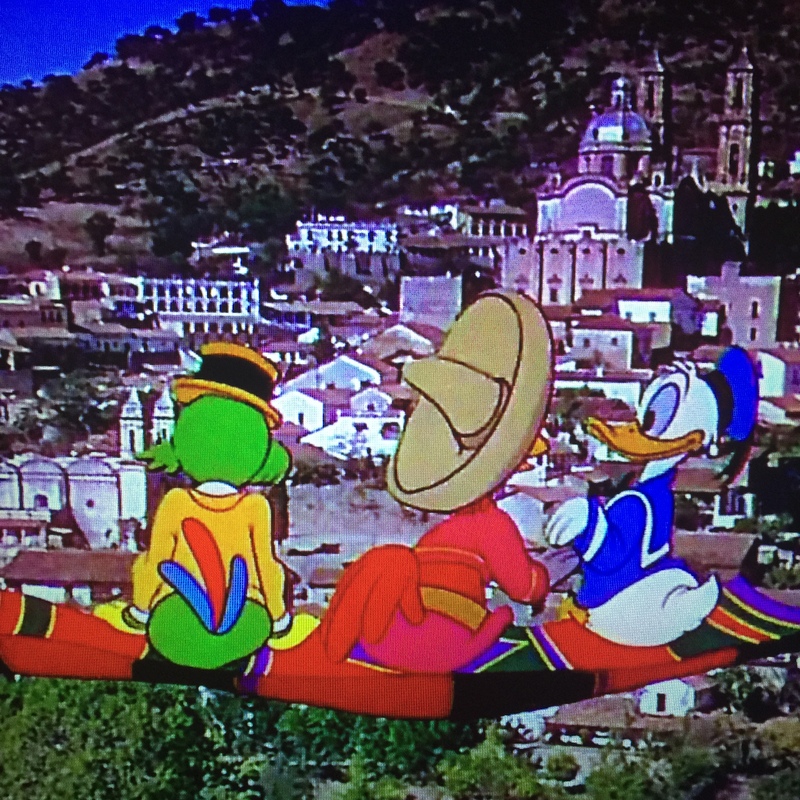 Donald chases more women and we take a tour of Mexico on the back of a flying sarape in an early version of “A Whole New World.” We see Donald on the beach and the impressiveness of seeing these animated characters in a live action world really never gets old. It just looks and feels very different and fun as, to this day, it is a technique that is not done all that often. Flying through the city on a sarape, you know, like the cool kids do. We end with a segment called ‘Donald’s Surreal Reverie’ involving Donald being in love which plays out a bit like the pink elephant segment of Dumbo, showing that he is basically high on love. 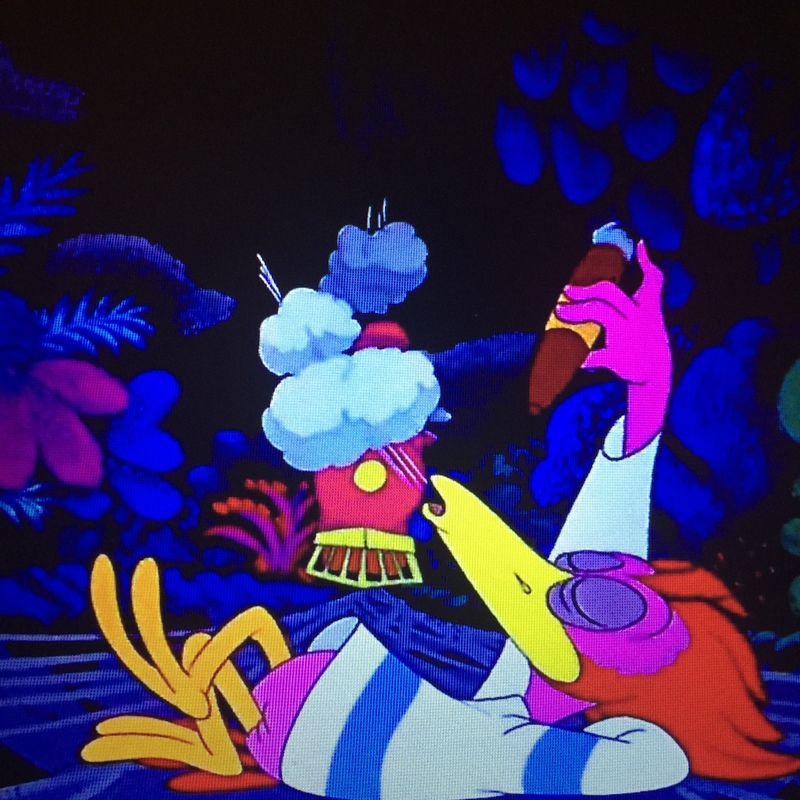 This sequence also seems to borrow a lot from the Fantasia, making the music erupt in color and design. This all leads to Donald dancing with the cactus turned woman, Carmen Molina. They dance and sing as Donald seems to forget about all his other ladies from the film. A little evening cactus dance. The film finally closes with Panchito and Joe jumping in to give us a grand finale, complete with fireworks and dynamite. This may be the only thing about the film that I was less of a fan of. I wish the ending had come back to Donald with all his gifts but at least it has a grand feel to it and sends us off with an upbeat tune in mind. The Three Caballeros is absolute fun. From the hilarious Aracuan bird to Donald’s foray into Mexico, to Panchito, to Joe, everything here feels new and interesting and it also feels like we are watching the evolution of the animated genre. The tour through Mexico and South America takes what was learned in Saludos Amigos and expands on it in all the right ways. After Saludos, I was a bit worried going into the package film era, afraid that I would crawl through the next few films, bored. I am happy to say that Amigos proved me wrong and had me laughing more than any film on our list so far. “We’re three happy chappies, with snappy serapes.” Enough said. Don’t mind me, just smoking and derailing this train. Thug Life, Aracuan style. I think you meant to write “Lambert the Sheepish Lion” as opposed to “…Sheepish Fish”, lol. Yeah, Sterling Holloway is going to pop up a lot during your journey here. Heck, he already popped up in ‘Dumbo’. I also don’t remember this movie all that well, but I knew I found the parts with Donald and the women not particularly entertaining. Aw yes, I think I had two movies in my head when I wrote this and just decided to combine them. Thanks for the catch, fixed. Lol, but ‘Lambert the Sheepish Fish’ sounds like a fun little cartoon though. Pingback: BAMBI [Companion to Jaysen Headley’s Vault Disney Project #5] | KCRRLives! Haha. Nope. That’s just for fun on YouTube. It lasts a couple second in the film. Thanks for the read!